Notes: I still haven't blocked this but I can see in these photos that I made the sleeves too long. I think I will rip them out and make them shorter and maybe a bit slimmer too. These photos do no justice to the beautiful buttons I got from Jennie the Potter. They have a faint blue leaf printed on each one. And clearly this isn't the right shirt to wear with this neckline. I'm just proud I finally took some pictures. I didn't have time for styling! Not only does it look great, but that yarn looks to die for! OOOhhhh, pretty sweater! Looks great on you, and the color is fabulous! Absolutely gorgeous, and the sweater ain't bad either! 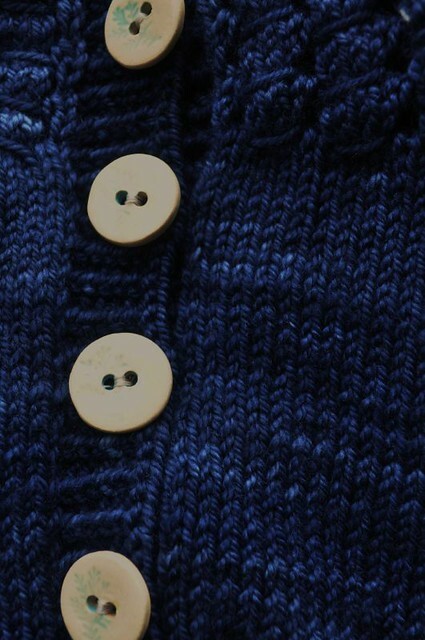 This is my first time at your blog and what do I see but one of my favorite sweaters that is in my queue! Yours looks FABULOUS! 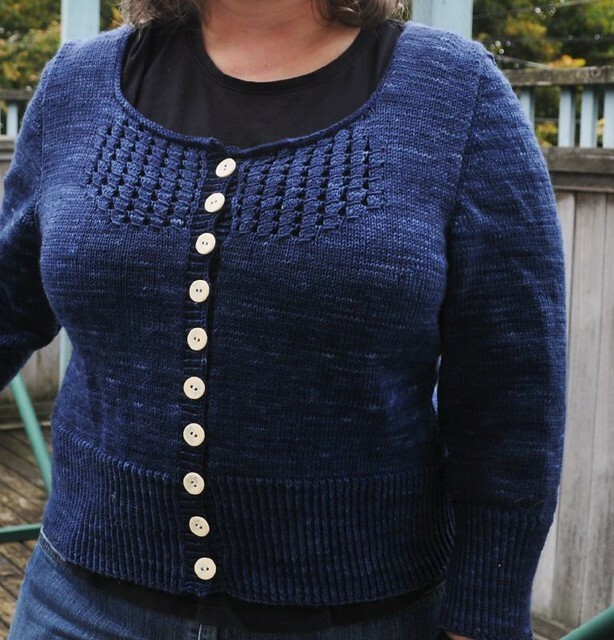 I have the pattern, but I can't decide on the yarn, and I'm worried I'm not a good enough knitter to pull it off. Then I worry that I'm not a good enough body to pull it off, um er to keep it ON as it were.